I was more than a bit envious the other day when I found out a good friend had picked up this gem of a kitchen appliance on a recent sale. 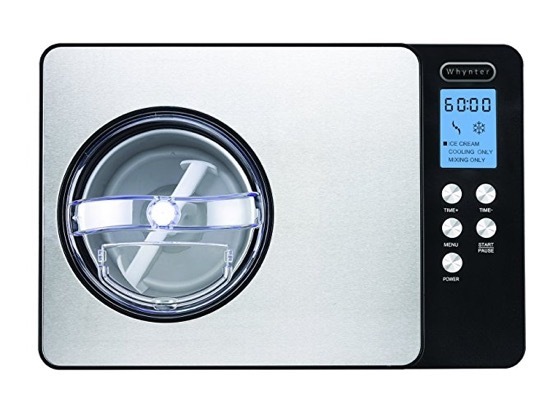 While I have an ice cream bowl attachment for my KitchenAid mixer, this all-in-one unit brings a level of convenience that is completely ridiculous. One big advantage is you don’t have to remember to freeze your mixing bowl ahead of time. Lack of memory and lack of space in my freezer makes it nearly impossible to mix up a batch on the spur of the moment. Oh to be so lucky to mix up the ingredients, throw it in the freezer and have a lovely dessert just an hour later. Some ice cream makers are a bit loud, but this one is well below the level of conversation so it doesn’t require you to shout over it if you’re in the kitchen. You don’t even notice it in the next room until the timer alarm goes off telling you the batch is done. 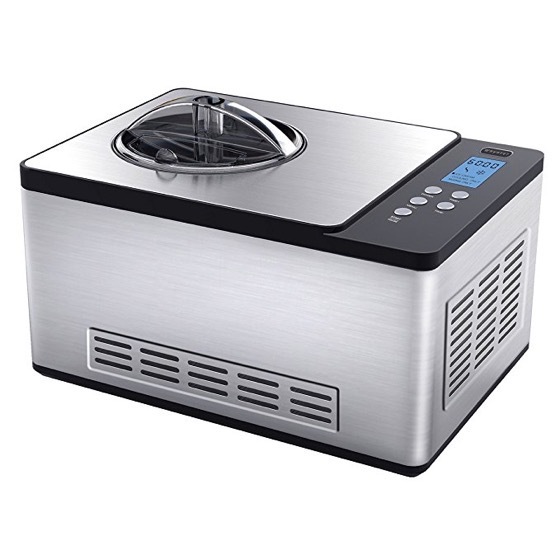 While certainly not a need for everyone, if you entertain regularly or make up batches of ice cream to give away in the summer, this could be an excellent tool for you.